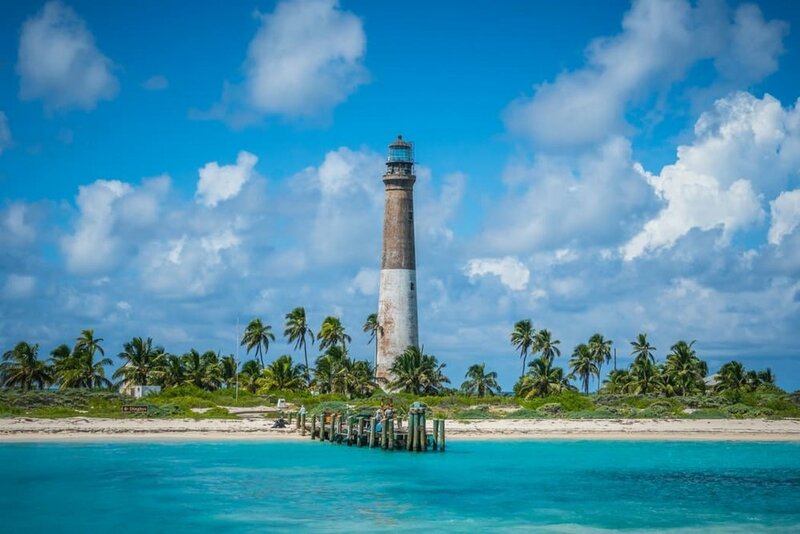 When you visit the Dry Tortugas Islands and Fort Jefferson, you are treated to one of the most unique National Parks in the world. These seven islands are a rare combination of natural and historic resources. 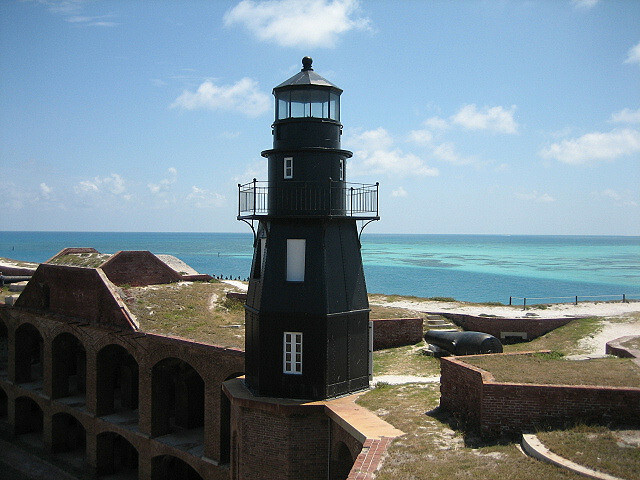 Not only are you surrounded by a vast expanse of sea, sky, sandy beaches, and coral reef, but you step into a park rich in history including a 19th century fort, The Civil War, and its most famous prisoner, Dr. Samuel Mudd, who was imprisoned for his involvement in the assassination of President Abraham Lincoln. Fort Jefferson Lighthouse - After the War of 1812 a group of forts from Maine to Texas was envisioned to provide defense for the United States of America. Fort Jefferson was built to protect the southern coastline of the United States and the lifeline of commerce to and from the Mississippi River. The fort was planned to be the greatest of these.